Over the last month the team has been working through gear lists and sorting out pre-race accommodation in Gippsland. No last minute surprises required on race morning! 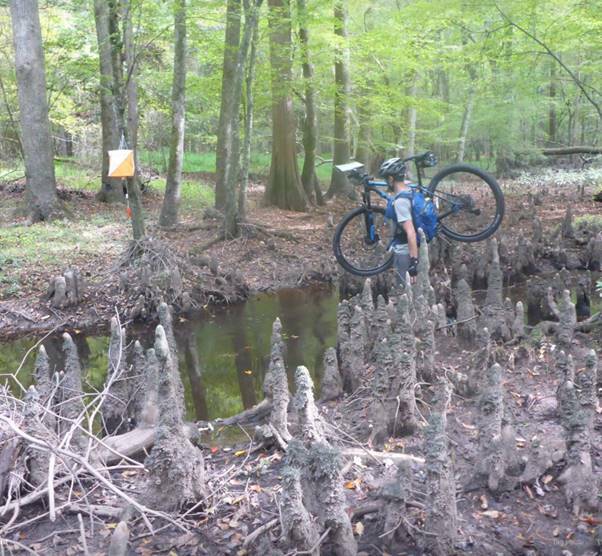 Oren joined up with his brother in the US to take part in the Soggybottom boys STORM adventure race. It was quite the experience in both terrain, and race format. The race was completely rogain style and covered 160km’s with a course cut-off of 30 hours. 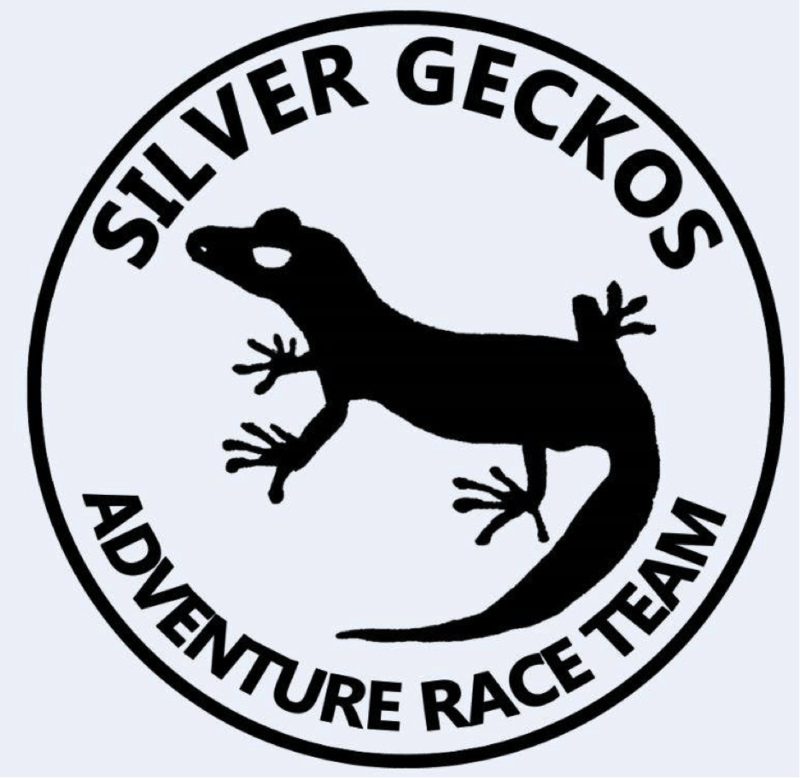 In Silver Gecko tradition that meant crawling over the finishline at the 29:20 mark, but the team placed well and secured most checkpoints. For added mental challenges, there was also ‘Amazing Race’ components, with clue sheets leading to checkpoints – rather than being given maps with checkpoints already mapped out. Some checkpoints then provided additional clues to other checkpoints, and not all points were of the same value. So a lot of race strategy and thinking on the feet required. Terrain and insect life was challenging throughout. Lots of thigh deep mud, river crossings, and thick scrub to navigate through for the duration of the race. Some good lessons learned also – one of them being the need to change out socks/shoes when dealing with feet that are wet for the complete race. 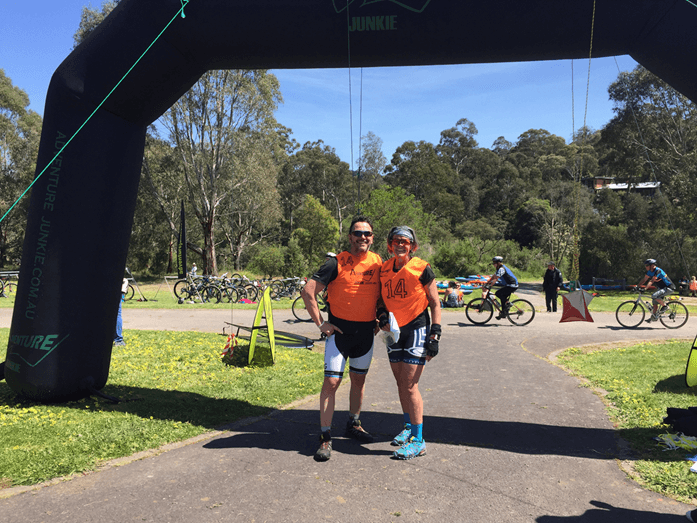 And Sharon and Rob teamed up Sunday in the Adventure Junkies Adventure race at Westerfolds Park in Templestowe. The course was a prologue, paddle, run, MTB, run (approx 2 1/2 hours). 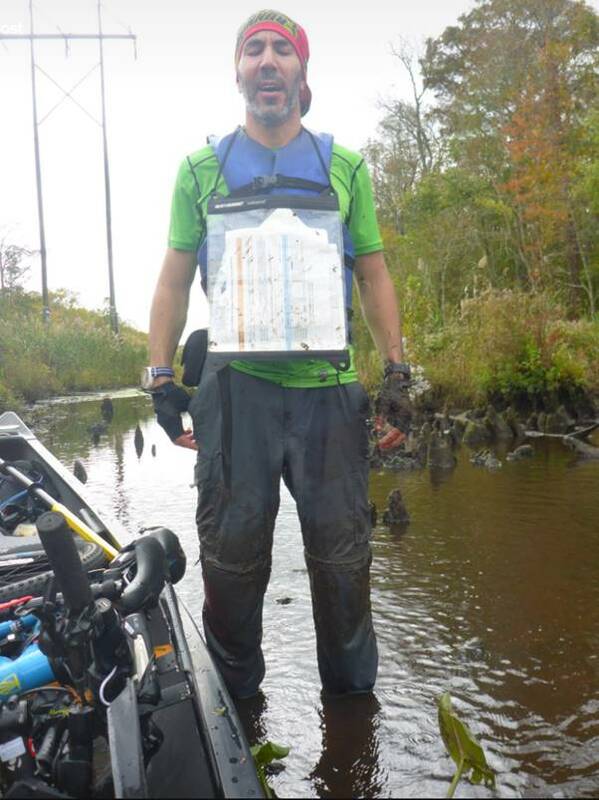 In the paddle leg, Robs hip flexers were screaming causing him to almost lie down in the kayak as his legs cramp up - this played havoc with the steering, and he is now relegated to bowman/deck swab. Rob and Sharon continue to MTB and had a ripper of a session last Sunday with friends at Lysterfield. Sharon managed to fall off only once! And they continue building their water time through Peak Adventure training sessions, and so far have managed to stay in the kayak. With his local teammate away, and recovering from a nasty stomach virus, Murray is back to hitting the Tan and getting out for some longer rides. With the weather improving we will be ramping up the evening training and some multi discipline bike/run/bike sessions. Also trying to pick some of the poor weather windows where we are forcing ourselves out the door in windy/rainy conditions to test both our gear and our mettle. Oren and Murray are booked for the Upper Murray River challenge in early November, and Sharon and Rob have signed up for the Victorian MTB Orienteering day at Woodend Sunday 22nd October. We have a team training session in east Gippsland planned for the first weekend in December, where we will route out 130-150km’s of trails and give ourselves 24 hours to not get too lost, before returning to Melbourne and the realities of work. That will provide us valuable experience in working together as a team, and feet on the ground in the general area we will be racing in Jan. The team are slowly increasing the run kms each week and extending our ‘bum time’ on the bike, but most importantly getting in smaller AR’s when we can to keep with the rhythm of event based racing. The best form of AR training is to be doing AR’s!